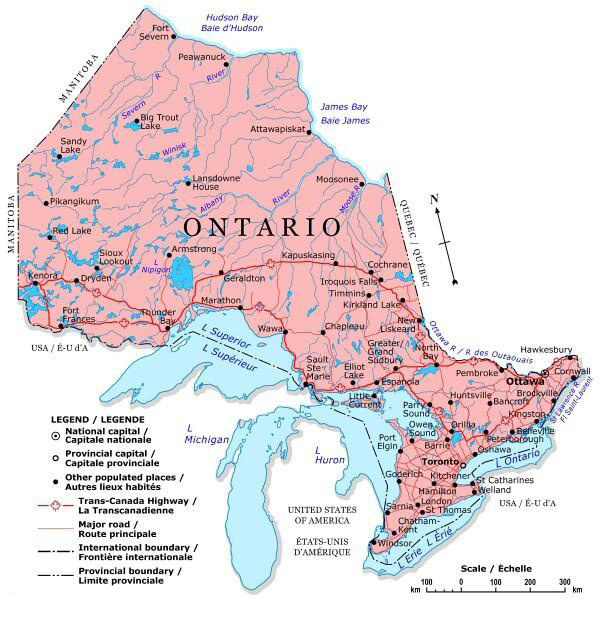 the door is now open for you to practice medicine in Ontario. You can come home. We’ll show you how! If you don’t want to read everything below, here is a one-paragraph summary of my opinions: I think the biggest error physicians make in preparing for MCCQE Part 2 is mistaking it for a real clinical exam that is used in many other countries. So they read Bates 500 page physical exam book and really go overboard trying to prepare for very difficult cases. This would work if an experienced physician was observing and grading every case, then he could recognize from experience how competent you are and give you an overall grade at the end. However in MCCQE Part 2 you are graded by layperson ACTORS who are PROHIBITED from making ANY clinical or subjective judgments on your performance - they only make checkmarks on a checklist. So it’s entirely possible to conduct a brilliant exam and recognize the correct diagnosis yet get a failing grade if you use intuition or your own “checklist” that worked well in the real world. The point is - even if you have no idea how to diagnose a real patient you can get 100% on this exam by blindly following the sample checklists, but you can get in a lot of trouble using real-world methods, Bates, or OSCE books since they are not specific to this exam. Everything below is just my opinion. I am not revealing any details of what I saw when I took this exam (not allowed by the Medical Council of Canada - MCC). I don’t guarantee everything I say about the way it’s scored is correct. But it’s probably mostly correct. It’s possible the exam and/or scoring has changed a bit since I took it. This exam is a not that hard compared to MCCEE and MCCQE Part 1 - with a few days practice you can pass the MCCQE Part 2, obviously there are no shortcuts to passing the MCCEE and MCCQE Part 1. The MCCQE Part 2 is definitely NOT like some clinical exams found in Europe, where you have to examine a real sick patient while a panel of doctors looks on and then questions you on what you found. 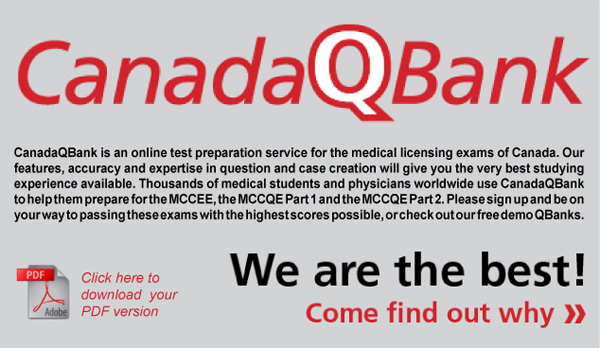 MCCQE Part 2 is a breeze, but you don’t want to try taking it with no preparation whatsoever, especially if you’ve never been inside a Canadian hospital. I’ll admit I found this exam very easy, but that doesn’t mean you will - I spent two years with daily patient contact in Canada. First, specifically for IMGs, many will not know anything about the Canadian medical system. Second, the expense and visa problems faced by many IMGs to get to this exam are so extreme that they need to be 100% certain of passing it. Third, the passing rate over the initial year of MCCQE Part 2 was very high - THIS SEEMS TO NO LONGER BE THE CASE. There are some very reliable reports that, due to pressure from the residency directors association not to pass so many people, the MCC has started grading this thing a lot tougher. Don’t take this exam lightly, there is a lot of time pressure. Most of the grade is from the patient, and they do not evaluate any medical skills. If their checklist says palpate abdomen and you press on their belly - full grade no matter how well or badly you did it. If you do a wonderful complete cardiovascular exam and it’s not on the checklist - total waste of time, you’ve just lowered your grade. A large part of the grade is completely non-medical: Smile, speak slowly, clearly in simple language, intro, hand washing, if patient is in pain show concern, etc. Patients put on a real act, simulating dementia, stroke, deafness, malingering, stupidity, etc. It’s very hard to go thru the whole checklist in the allotted time, even if you were holding it in your hand. You must not treat this as a real patient encounter - they are just acting, and are constrained by strict rules specifying EXACTLY how they answer. You are wasting time asking anything not on the checklist, they are prohibited from saying anything not on their script. The only medical part of the grade is what you write, graded by the staff at the MCC. Again they don’t read it very carefully, just make sure it’s in legible English and covers the whole page (not easy to do in 5 minutes). Obviously they don’t know what you actually asked the patients. Two major points they look for: Everything in the D/d (Differential Diagnosis) must be supported by history/physical findings you wrote. If you write Hypothyroidism there better be something about cold, menstruation, hair, fatigue, etc. written in the space above, plus a neck exam in PE (Physical Exam). Everything in the workup must directly relate to something in the D/d to the left, either to support or exclude one of your differentials. This is the litmus test they use to see if you are actually acting as a physician or just putting down stuff you memorized to fill up space. They cross check each differential to some part of your Hx (History) and PE and if it looks OK - full grade. If hypothyroidism is one of your diagnoses there better be a TSH/T4 in on the right side of the page. Less than ten minutes is not enough to write a thorough note, you should do it in point form with abbreviations. Finally - do not put any treatment or consultations in the workup, only lab tests, radiology studies, etc. Eight of the fourteen cases in my exam where extremely similar to these CanadaQBank.com cases, you can draw your own conclusions on how to direct you preparations. Some cases you encounter will be new or after a few minutes you still won’t know the diagnosis – usually because the patient is being “difficult” or just keeps saying I’m tired or whatever. Most cases, maybe 8, will be very easy - the patients respond to all you questions with very detailed, classical answers with all sorts of associated symptoms and details, leaving do doubt about the Dx. However YOU DON’T NEED TO KNOW THE Dx. It’s possible this patient has no Dx and his case is evaluating you ability to deal with a manipulative difficult patient. Don’t panic, just move on, examine some systems and put down 2 to 5 things that might be wrong. No one is grading you for writing the “correct” dx. More importantly the scores from all the cases are combined, and you can completely mess up two of them and still pass easily. Lately some people with excellent command of English and great clinical skills have been taking the MCCQE Part 2, finding it easy and enjoyable, and then getting the shock of their lives when they get a failing result. I can’t imagine anything more painful than writing out another $1650 check, going to Toronto (or wherever) again, sitting thru that MCCQE Part 2 introduction lecture…. Ouch. IN SHORT, being a good doctor with perfect English is no guarantee in passing. Of course the reason is as with the rest of the boards there is a trick to doing well. In this case it’s knowing why the patients are doing what they are and what’s on the checklist they’ll be filling out when you leave the room. Although I am fluent in English and had adequate preparation I ran out of time on a few patients, before I got a grip on myself and started budgeting my time. Despite the MCC claims of objectivity research shows that the most important determinant of the score you get from the patient is the subjective overall impression they got - likeability, friendliness, feeling of competence, etc. It goes without saying that having to leave the room before starting your PE or in mid-sentence of your patient instructions will leave an impression of incompetence and cloud their grading, even if you did relatively well on the checklist. Therefore come hell or high water you must divide you allotted 15 minutes into three parts and follow your plan to the second - first ask the usual questions, then stop talking and do a confident & competent FOCUSED physical exam of relevant systems, then stop, look at you patient, and give him/her a minute of your probable Dx, course of action, lifestyle change advice, etc, then say goodbye and walk out with style. This presentation is worth a hundred times more than squeezing in a few more useless questions during your history taking, remember these people are not really sick. Again, never forget that the “patients” are trained professional actors and not real people. If he moans when moving, holds his head, sways when getting up, says “My mom died of cancer, do you think that’s what I have?” - EVERYTHING HE DOES - he is not doing this because he is hung over, tired, in a bad mood, just an annoying jerk, or whatever. All this things are on his script and checklist and require an immediate response - reassurance, patient education, further questioning, etc. If you elicit joint pain or belly pain or whatever during PE - it’s not because the patient is old and his arthritis is flaring up - HE IS ACTING, and you must get the duration location etc of the pain and move on. These patients have a SINGLE SPECIFIC MAJOR PROBLEM & COMPLAINT that they are acting out, you must discover it early on, and ask about & examine the relevant area. This is a simple problem, either a stroke or migraine or chest pain or dementia - NOT A COMBINATION OF MANY PROBLEMS THAT YOU SEE IN REAL PATIENTS - you do not need to attempt to get to the bottom of multiple problems as you would in a real 45 minute full exam, as soon as you find something stick to it and move along, you only got a few minutes left. These simulated patients are PROFESSIONALS and are very good at evaluating the set of skills the MCC wants to test. Unfortunately most of these skills are non-obvious even to good doctors. Empathize. Show genuine concern. Acknowledge everything the patient does or says that’s unusual. Whenever a patient says something exciting - pain, family Hx, allergy, whatever - FOLLOW up with a single (at least) specifying question or statement: when, how long, how does that make you feel, what color exactly was the diarrhea, etc. This is a must, and that’s all they are looking for - verification and summation. If you are getting a lot of non-specific or neutral answers to a line of questioning - STOP, move on to something else. You are barking up the wrong tree and further questions will get you nowhere. If you ask the right question the patients will directly and clearly answer with some abnormal info, they don’t try to trick you, but whatever is not on their script they won’t elaborate on. If a patient is playing a stroke victim he won’t come out and say it, and will continue not mentioning the relevant Hx as long as you are talking about chest pain, bowel movements or whatever, but as soon as you mention clumsiness, vision loss, fainting, etc, he’ll immediately come out with all the classic signs / symptoms of stroke in the history. It’s actually harder that it looks, you can see these people sitting there waiting to give you the info but you have to ask the right question first. Actually all the questions you need to ask and physical exam points you need to check cases must become second nature to you. This is why people who fail have no idea what went wrong - they thought they did well and they would do great in a real clinic with real patients, but little did they know that here they are graded very specifically on pacing, transitions, rapport, etc. You’ll have maybe up to 3 patients with mental / social problems - crazy, demented, drugs, alcohol, whatever, so you better be real ready to do memory tests, have them repeat numbers backwards, CAGE, explain a proverb, etc, instead of a physical (see last section of notes). I really believe your actual physical exam skills are unimportant, just press on belly, look at JVD, stick an ophthalmoscope in front of their face, tap on knee with hammer - you are just pretending and so are they. The patients are not allowed to grade your actual medical skills, and no-one else is looking to see whether you are using the otoscope correctly or not either. Remember the checklists you see in the CanadaQBank.com cases – during the exam cut the crap and just go thru them in order like a machine: duration, location, radiation, onset, EVERYTHING, in order. Unlike anything else you might say you are actually guaranteed a point for these things, don’t forget at the end of the day your grade is just a bunch of dots they fill in that will be scanned into a computer, no humans involved, so if you forget to ask about the radiation of the darn pain you’re down a point no matter how well you got the Dx in the end or if you talked eloquently about smoking cessation for 5 minutes (worth the same point as a 3 second question, no bonus for being thorough), because the patient does not write any words on your scorecard, just little dots. Just memorize the CanadaQBank.com cases. Don’t bother reading Bates and Harrison’s for this exam, it’ll get you nowhere. To see more checklists you may want to sign up for a subscription at www.CanadaQbank.com. Do not bother asking anything not on the checklist of these cases, there is NO PROVISION in this exam to raise your grade for a lot of thorough but not to the point questioning. If it’s not on the checklist the patient can’t grade you. Keep this in mind for any cases that are unfamiliar, stay very focused, you won’t have much time for chit-chat. Finally, not on these checklists are a few things mentioned in the official MCCQE part 2 manual at mcc.ca (read the manual very carefully it gives away LOTS of pointers on how they score), having to with transitions thru different parts of the exam, telling the patient what you’re about to do, using non-medical language, washing your hands, and so on: each of these dozen or more points is graded on every single patient. Most people fail the “data gathering” component, i.e. the checklists, and pass the English and patient note. Unfortunately failing any part of MCCQE Part 2 fails you for the whole thing. It’s up to the patient to decide if you showed respect for their modesty when moving the gown, summarized what you found, acknowledged their concerns, etc, so you better make a conscious effort to DO all these things in an exaggerated obvious manner, they add up to a big part of your grade, so make sure all 10 patients check off “YES” next to every point. Do you have a license to practice medicine in any U.S. state? 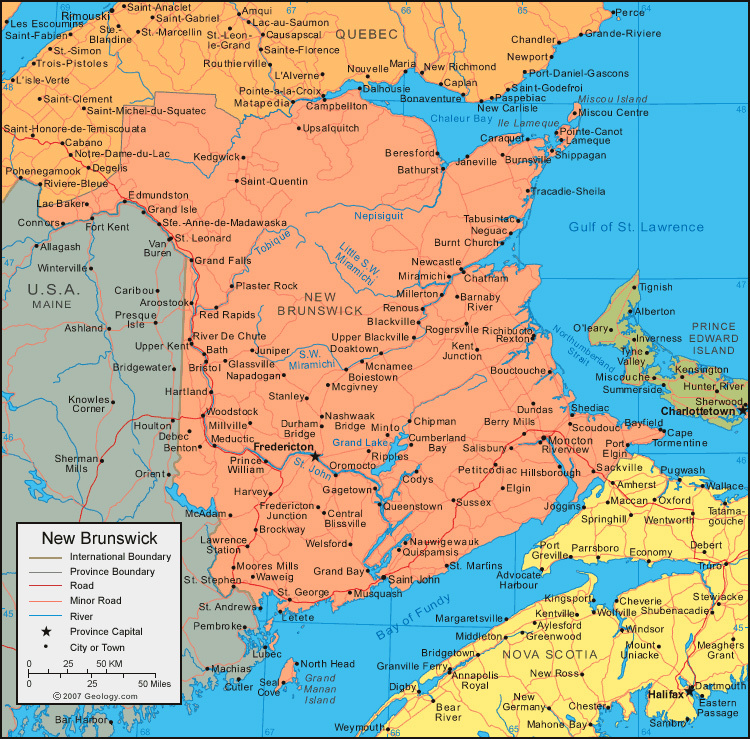 If so, you may qualify to work in New Brunswick, Canada. Wisconsin, Wyoming and Puerto Rico give full unrestricted medical graduates to Foreign Medical Graduates after only one year of residency (post graduate) training done in the U.S.